I love this time of year when fresh fruits and vegetables are abound. Literally, some of the best recipes come from fresh ingredients. I want you to think outside the box for a minute. I am a Texas girl and chips and salsa is something I love! Have you ever tried homemade salsa recipes that are outside of the traditional tomato-based ideas? 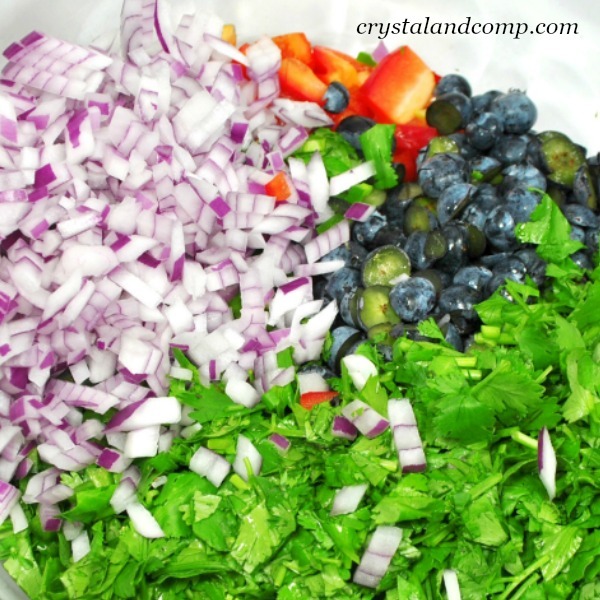 Homemade Blueberry Salsa is the place to start!! 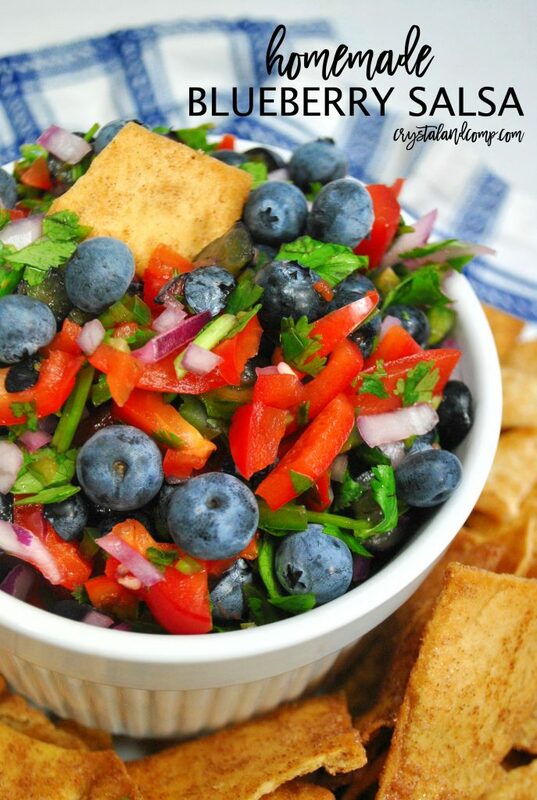 Blueberry recipes are some of my favorites! 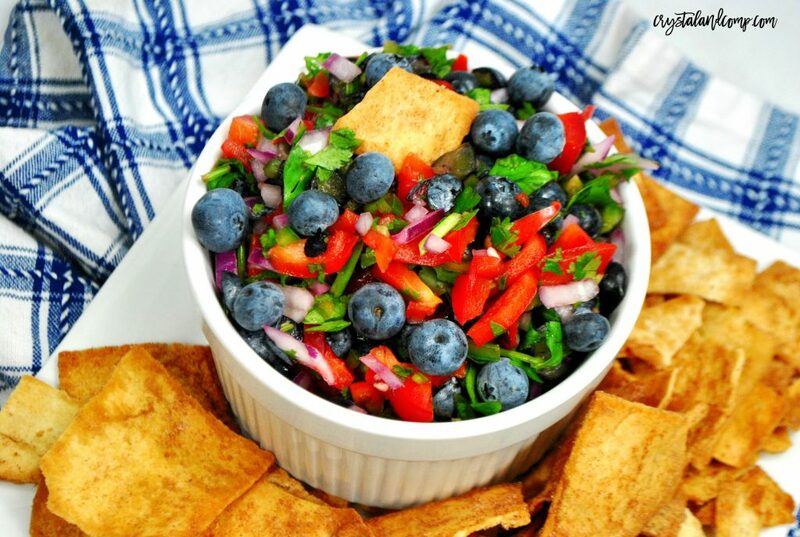 The fresh blueberries, red bell pepper and cilantro, combine with the jalapeños and purple onion for the most amazing combination. Tell me, where do you stand on cilantro? I would love to know. They say people love it or hate it. I am a HUGE fan! There are two simple secret ingredients that brings it all together. Let’s start by gathering up all of our ingredients. 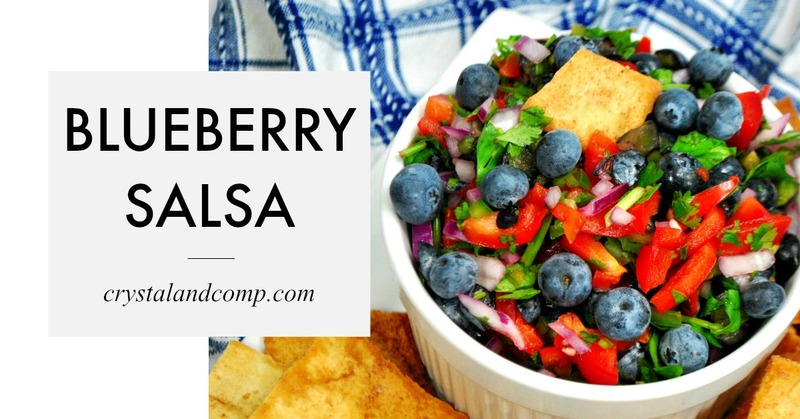 If you’re a frequent produce shopper, you likely have everything on hand already to make this delicious salsa. This is so simple to make, you’re going to want to make it as long as this beautiful fruit is in season. It is an excellent go-to for your get togethers and parties or even potlucks. Wash and gently pat dry the blueberries. Then cut them in half and set them aside. Grab a bowl. Toss the blueberries in there. Dice your onion. Toss them in the bowl. Chop the cilantro. Toss it in the bowl. Dice up the red onion. Yep, toss them in the bowl. Dice the red bell peppers. The smaller the better. Throw those in as well. Want it spicy? Keep the seeds. Want it not so spicy? Remove the seeds. Grab a smaller bowl and add the salt and lemon juice. Whisk it a bit. Pour the lemon mixture over the fruits and such. Stir well to combine everything. 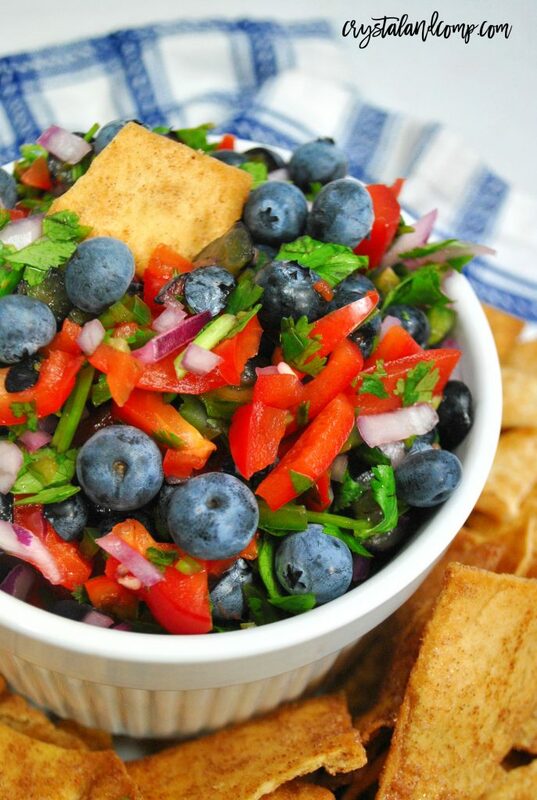 Serve this homemade blueberry salsa with cinnamon sugar chips. Want more cold appetizer recipes?